I dunno. Maybe you have to be a parent to be seismically moved by a movie like LION. Don’t get me wrong, I really enjoyed it. How could you not enjoy every moment Sunny Pawar is on screen. How can a little kid have such screen presence? Dev Patel is amazing. He is such a great actor and does not get the credit or the roles he deserves. 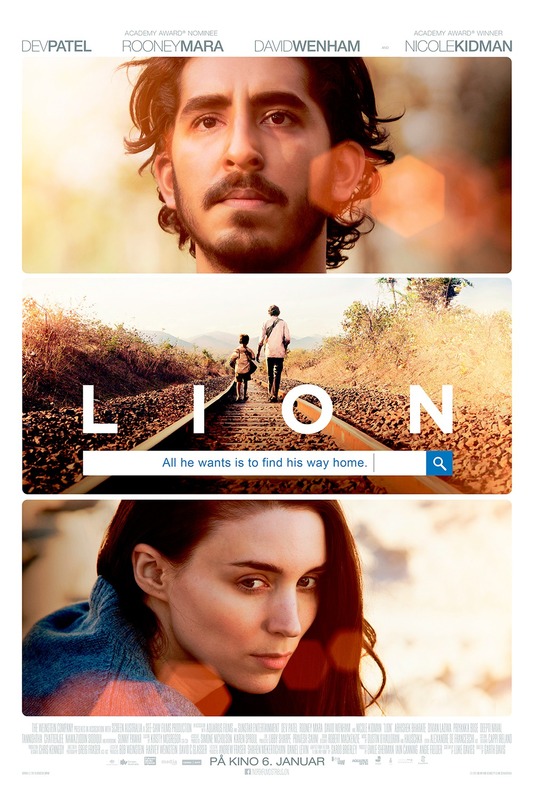 In case you don’t know, LION is the true story of Saroo Brierley. The 5-year-old Saroo gets separated from his brother at a train station in India. He climbs onto a train which then whisks him to Calcutta. He then spends a year or so living on the streets before he is sent to something like an orphanage. Eventually he is adopted by an Australian couple (Nicole Kidman and David Wenham). He lives a great life in Tasmania, but as he moves into adulthood he cannot forget his family in India, so he uses Google Maps to try to find the train station where he got lost. After years, he finally finds it and is eventually reunited with his mother and younger sister. I don’t know, the use of technology to find the village where he grew up made the whole exercise a little sterile for me. Hard to dramatize a guy sitting at a computer doing Google searches. But the reunions and his relationship with his adoptive family are compelling as are young Saroo’s “adventures” in Calcutta. On the whole LION is an above average movie that tells a moving story. But it could have been just a bit more.